I’ve found it. My dream job…well one of them. Picture it. You awake every morning to tranquil, turquoise colored seas with the smells of jasmine and coconut wafting through the air. The warm, salty breeze blows through open windows and is filled with the symphony of exotic birds. Your days are filled trolling beaches, cavorting with strangers who soon become friends, and sampling the sea’s best delicacies. What’s the job? Well, its an island caretaker, of course! What do you think? 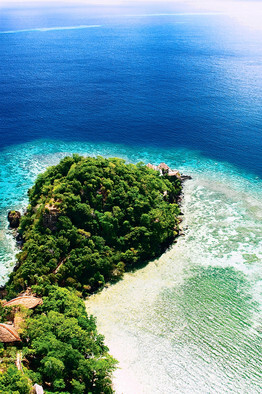 Could you be the caretaker of an island – one located in Fiji no less?? Well, meet Maja Kilgore, a seasoned pro who along with her husband, has previously managed privately-held resorts in the Philippines, Europe and Bali, and Indonesia. Maja is currently the managing director of Fiji’s Laucala Island, one of the world’s most exclusive resorts, owned by Austrian energy-drink tycoon Dietrich Mateschitz. Maja has been managing the island for the past three years. Aside from the occasional cyclone and the fact that they personally grow and cook most of the food on the island, Maja does not view her position as a “job”. “It is [a drem job] if you love the hospitality industry. You cannot even say it’s a job. It’s a lifestyle.” To read Maja’s story, check out her feature in the Wall Street Journal.